When delegates to the week-long Community of Christ World Conference gather in Independence, Missouri, April 6, they will celebrate the 25th anniversary of the Independence Temple dedication and the calling of two new apostles. Prophet-President Stephen M. Veazey released a Letter of Counsel last Thursday presenting the call of Catherine C. Mambwe and David M. Nii as apostles and members of the Council of Twelve. They will fill vacancies left by the upcoming retirement of Linda L. Booth, current president of the Twelve, and Rick W. Maupin. Both are in their mid-60s, which is a typical retirement age for CofC leadership. Linda Booth, however, will continue to serve in various capacities on a voluntary basis at the direction of the First Presidency. Jane M. Gardner, the church’s presiding evangelist, will also retire from church employment but will continue to serve as leader of the Order of Evangelists. Both apostles-to-be currently serve as bishops over significant territory. Bishops in Community of Christ primarily serve as financial officers, along with giving direction to Aaronic priesthood ministry as specified in the Doctrine and Covenants. 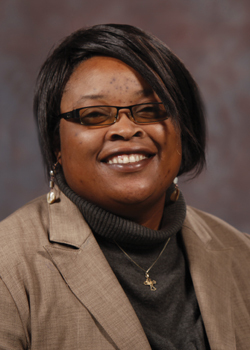 Catherine C. Mambwe, of Zambia, currently serves as bishop of the Africa Mission Field. Catherine previously served as mission center president and financial officer for the South Central Africa Mission Centre. Previously, she worked for the Zambian Ministry of Education as a basic and high school teacher in Chingola, Zambia. She also worked as a human development facilitator for Outreach International and served as secretary to ecumenical church groups in Zambia. Catherine received a teaching diploma from Copperbelt University in Kitwe, Zambia, specializing in math, physics, chemistry, and biology. She also studied at Mansa Teachers’ Training College (MTTC), has 15 years teaching experience, and trained as an accounting technician. Catherine previously served as pastor and congregational financial officer in several CofC congregations. She will become the second apostle from Africa, joining Bunda C. Chibwe. 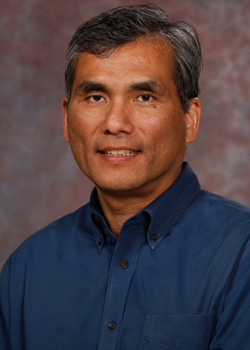 David M. Nii is a native of Hilo, Hawaii, and currently serves as bishop of the USA Mission Field. He lives in the Denver, Colorado, area and has served as bishop for the Asia Mission Field, apostolic assistant for the West USA and West Central USA mission fields, president and financial officer for the Rocky Mountain USA Mission Center, bishop of Denver Stake, and stewardship minister for the West Central States Region. David received a bachelor of science in engineering from Harvey Mudd College, Claremont, California, and a master of arts in religion from Park University, Parkville, Missouri (a program now part of Community of Christ Seminary at Graceland University). He also completed seminar courses in small group facilitation and business management. Before employment with Community of Christ, he worked as a petroleum production engineer and engineering consultant. He also ran an independent equipment brokerage business. Former CofC prophet-president W. Grant McMurray began the practice about two decades ago of separating top leadership changes from other prophetic counsel. Previously both were included in new sections added to the church’s Doctrine and Covenants. Also, President Veazey continues the practice of releasing letters of counsel with changes to the First Presidency, Council of 12, Presiding Bishopric, and Presiding Evangelist several weeks or months before World Conference. Similarly, it’s become common for the prophet-president to offer “inspired counsel” at a World Conference, with instructions for the church at large to give it prayerful consideration before the next Conference is held, when it will be considered for inclusion in the Doctrine and Covenants. World Conferences are now held every three years at the church’s International Headquarters, which includes the 25-year-old Temple and the approximately 90-year-old Auditorium across the street. President Veazey provided some additional information at the end of his letter, noting the considerable budgetary measures the church has taken over the past decade, in particular. 1. Some World Church officers serving in full-time leadership positions while donating all or significant portions of their income back to the church as World Mission Tithes. On average, World Church Leadership Council members contribute 12 percent of their incomes to Worldwide Mission Tithes, in addition to local contributions. 2. Individuals have accepted added major responsibilities without additional salary. This has reduced the number of funded full-time World Church Leadership Council positions. This response frees funding to support other staff positions in the fields and at International Headquarters. 3. An integrated leadership model has reduced the number of full-time funded positions in the First Presidency and Presiding Bishopric. This approach frees funding for other field and International Headquarters positions. In the years ahead, if this Letter of Counsel is accepted, more than $200,000 (USD) in World Church Leadership Council expenses will be eliminated in addition to expenses already reduced from 2016–2019. Much of this amount will be achieved through actions anticipated in this Letter of Counsel. The CofC and LDS churches take different approaches to calling individuals to the leading quorums. What could each learn from the other? How significant is the gender and nationality balance in the CofC Council of 12? Twenty-five years after dedicating the Independence Temple to the “pursuit of peace,” a daily prayer for peace is held midday in the Temple sanctuary, recognizing a different nation each day. How do you think that has affected both the church and the world? Thanks for sharing this, Rich. It’s lovely to hear of the work going on in the CoC. Rich, a while back Mormon leaks publish some information about general authority salaries. It caused quite a stir. Is there public data about how much high-level officials of the community of Christ are paid? Comparisons to the Community of Christ are always interesting to me. The Community of Christ is, in many respects, precisely what many more liberal Latter-day Saints want their Church to be. I certainly respect the sort of admiration of other faith communities, and there are a number of attributes of other faiths (including the Community of Christ) that I want to emulate and do my part to bring into the Church. However, when people say the Church ought to adopt certain policies or else face decline in membership, I think of how the Community of Christ has not grown as a result of its reforms, but instead now has a growth rate below the growth of the general population. Of course, growth is not the be-all-end-all of what a church should be, but the CoC example convinces me that, whatever the other merits may be, adopting more liberal policies will not lead to growth. Having said all of that, the newly called apostles appear to be capable leaders and devout followers of Christ. The Community of Christ will surely be well served by their leadership. KLC: Although there’s no published information on salaries, I can tell you as a now-retired executive minister at church headquarters that compensation is fair but not by any means overly generous. Dsc: Issues related to church membership growth/decline, across denominational lines in North America are, of course, much more complex than liberal/conservative labels. Evangelical Christian groups (most notably the Southern Baptists) are now experiencing stagnant and declining membership statistics in somewhat the same way that Mainline Protestant denominations have for a few decades now. Membership growth in Community of Christ continues in so-called developing countries throughout the Southern Hemisphere, while the opposite is true in North America and other English-speaking and Western countries. It shouldn’t be surprising, then, that a second African CofC apostle has been named. Of course, there are two big challenges to this growth: (1) African and Latin American churches tend to be more evangelical and conservative and (2) those same areas tend also to experience poverty, sometimes in extreme forms. On the other hand, Christianity was born and flourished among the poor and marginalized. Maybe that should tell us something important. It is always interesting to see how things function in the CoC. Thanks for the update! I love to see the diversity in the Q12. I heard a Community of Christ apostle give an hour-long presentation on the Early Christian Church a few years ago. She was very impressive. My sense is the C of C apostles have less executive or professional experience than LDS counterparts, but have considerably more training or education in theology and pastoral practice. DaveB: I agree. Perhaps considering the extensive business and real estate holdings of the LDS church, along with its bureaucracy and massive ecclessial structure (wards/stakes/regions, etc), that’s what’s needed just to keep everything running smoothly. The CofC has certainly streamlined its operational structure in the last few years, albeit prompted by budgetary issues. The growth rate of the UT church is nothing to brag about, especially considering the number of missionaries and the related budget. GES65, I don’t think I was implying that the Latter-day Saint growth rate was something “to brag about”; I was merely pointing out the mathematical reality that 1.47% is significantly greater than 0.07%, which doesn’t support the argument that adopting the policies that the Community of Christ has adopted in recent decades will cure slowing growth. I think it’d be a mistake for any church to adopt policies (liberal or conservative) for the express purpose of membership growth. Rather, it should be a sincere belief they are responding to promptings of Holy Spirit. That, of course, can lead to unexpected consequences and new challenges. Apostle Bunda C. Chibwe is from Zambia, but resides in Johannesburg, South Africa.